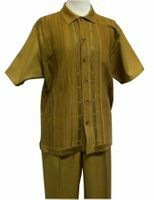 Are you shopping for Michael Irvin Walking Suits like Leisure suits online and need matching Stacy Adams Shoes and need some recommendations. When your mens fashion tastes are just a cut above what others might be wearing in mens dress clothing like a Double Breasted Suit, it's time for you to shop for Michael Irvin's mens leisure suits online at Contempo Suits and make the plunge and start wearing the Silversilk by Michael Irvin collection with a shapr looking Homburg Hat of course. 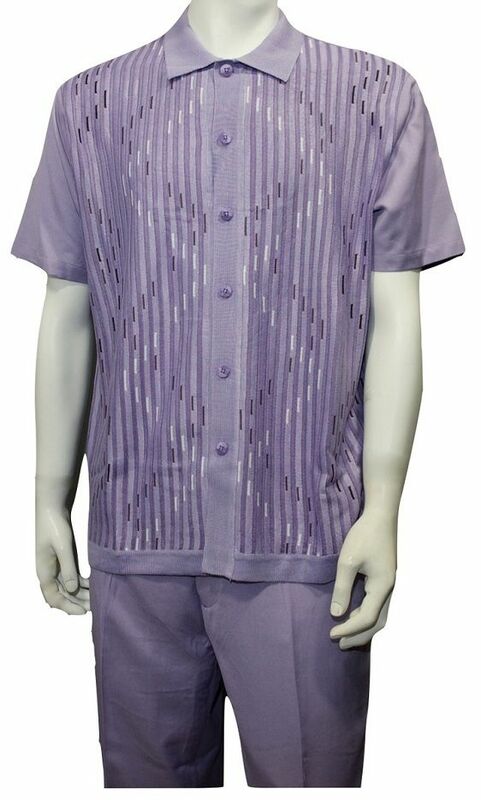 This Collection is crafted of fine quality silk blend fabric that drapes beautifully, Silversilk Clothing is the premier collection brand of New style mens casual fashion Walking Suits. Michael Irvin wanted to have his own collection of leisure suits and was seeking a leisure suit manufacturer to make fashionable clothing like Fashionable walking suits that had the style,fabric and flair that suited him in his taste of mens dress clothing so Silversilk Collection by Michael Irvin was born. Every several years a New Fashionable menswear style comes onto the scene that has all the other fashion houses scrambling to copy their mens dress clothing style and Michael Irvin's Silversilk clothing is one of those brands. With a never ending array of New York style and colors you can never get bored wearing Fashionable menswear by Silversilk especially if you hook them up with matching Alligator Shoes. 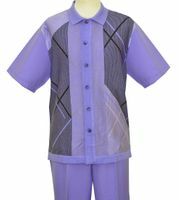 They just have a way of making different new mens casual dress clothes styles combining geometric printed fabrics and embroidery crafted into fancy New style 2 piece walking suit outfits that just look better than others. Silversilk Outfits online for men are so nicely made and will look so good on you that you will want to have more than one in your closet. You'll have your friends and neighbors asking you what brand you are wearing and the reply will be Silversilk from ContempoSuits online. What makes Michael Irvin's Silversilk outfits special is the very fabric it's woven from. It's a blend of rayon knit but feels like washed silk. It's a heavenly feeling fabric that you will truly enjoy wearing. Chances are you're going to need some new Fashionable dress shoes as well. See how affordable a Tuxedo can be. We carry Mens Suits in kinds of colors and styles. How does a fine pair of hand made alligator skin shoes by Belvedere Shoes sound to you. When you buy Silversilk Clothing, you and your wardrobe will look your absolute stellar best. So, when the time comes to buy Silversilk, ContempoSuits.com is the Online Store for You. Don't forget to get a matching Kangol Hat. Don't be surprised with how many compliments you receive from friends and family alike when they see wearing one of our New style Silversilk 2 piece sets. The extraordinary styling baked into each and every Silversilk 2 piece set is eye catching and fashionable. With Wideleg pants, your matching dress shoes will be in full effect every step you take. Once you get yourself your very first Silversilk walking suit, you'll be amazed at how beautiful the fabric is that goes into each and every Silversilk walking suit. Since the fabric is a silk blend, it's very rich to the touch and you'll see how well the fabric drapes on you. You will immediately recognize right away that these New style 2 Piece sets by Silversilk are above and beyond other outifts you've had or seen. You can just look at the construction of the waistband on the pants and see that it was made with quality and corner cutting was not in the equation here. They use durable canvas construction that holds up in the waist band as well as high quality lining with the little bit of rubber inlays to keep your pants in place and under shirt tucked in. There is knit trim detail on many of sets on the front and back of the top and on the pants as well. New style Silversilk walking suits are worth every penny because as the old saying goes, "You Get What You Pay For" and with Silversilk walking suits this saying is nothing but the truth. So when you're ready to shop online and buy Silversilk walking suits, there is no better website than ContempoSuits.com. Once you buy your first Silversilk 2 Piece Outfit, I guarantee that you will more because you will get spoiled by how good you look in these outfits. You'll love the way they fit and love the way the pants drape perfectly on you. You can have confidence when you shop online at ContempoSuits.com because we have low prices compared to many department stores and other online websites selling Michael Irvin's Silversilk Outfits. You will be more than pleased when you see our low prices on our different style Silversilk outfits for men. Finding low priced different style Silversilk suits and outfits for men has never been easier than when you shop online here at ContempoSuits.com. Don't forget about our Free Shipping over $99 US48.